Bring your RN experience to our growing, mission-driven organization. We offer a job with rewarding patient relationships and highly competitive salaries. Paden City - area, West Virginia. 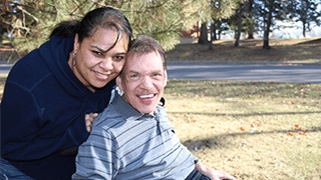 Our Registered Nurses provide nursing services, training, and support to address the medical needs of individuals with developmental disabilities, brain injury, and/or emotional or behavioral challenges. Enjoy high-impact with those we serve while having career options to move up and across the organization. Each of our programs is designed around the needs of the adults we serve and delivered in the communities they call home. 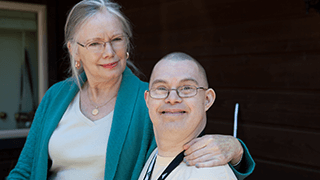 We provide the right balance of service and support – combining personal choice, flexibility and community integration with professional oversight, family involvement and stability. Traveling between local locations to perform the duties and responsibilities of the role, the RN is accessible to staff at all locations during working hours. Depending on the program, may be required to be accessible after hours for consultation. Provide clinical care to address the medical needs of individuals in multiple locations within the assigned region. Maintain contact with primary care physicians and specialists, and, when directed, attend doctor visits with mentor and/or individual receiving services. Provide consultation and technical assistance to staff and mentors regarding home care issues along with operation of durable medical equipment. Current driver's license, car registration and auto insurance if driving on the behalf of the Company or providing transportation to individuals receiving services. Job requires performance of duties that involve potential for exposure to blood, body fluids, or tissues. Tasks that do involve exposure are an expectation of employment. Position requires travel in assigned region to provide services and conduct visits to our individuals. No overnight travel required. We have a great work environment and you’ll be surrounded by a strong and supportive team of peers, leaders and colleagues. Founded in 1980, The MENTOR Network is a national network of local human services providers offering an array of quality, community-based services. With approximately 30,000 employees serving 30,000 individuals in 36 states, you'll have career opportunities from coast to coast.